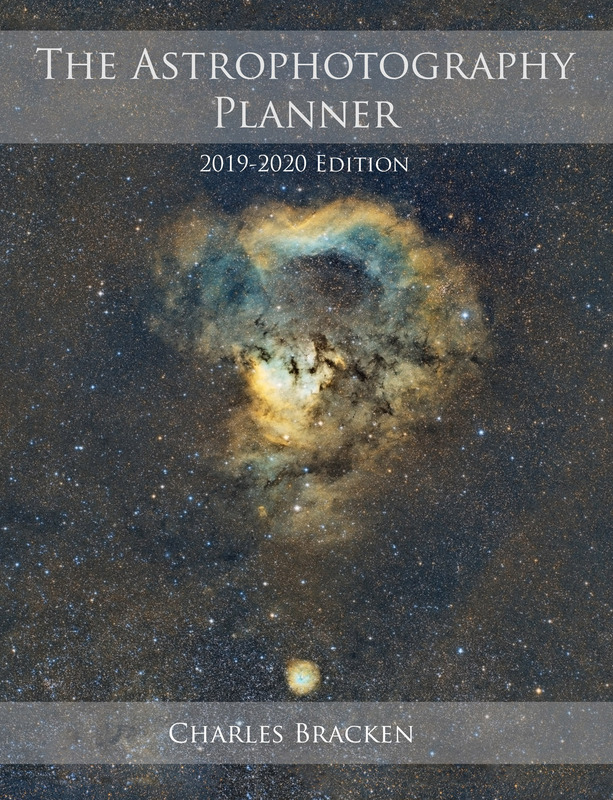 Home > Uncategorized	> The Astrophotography Planner is published! 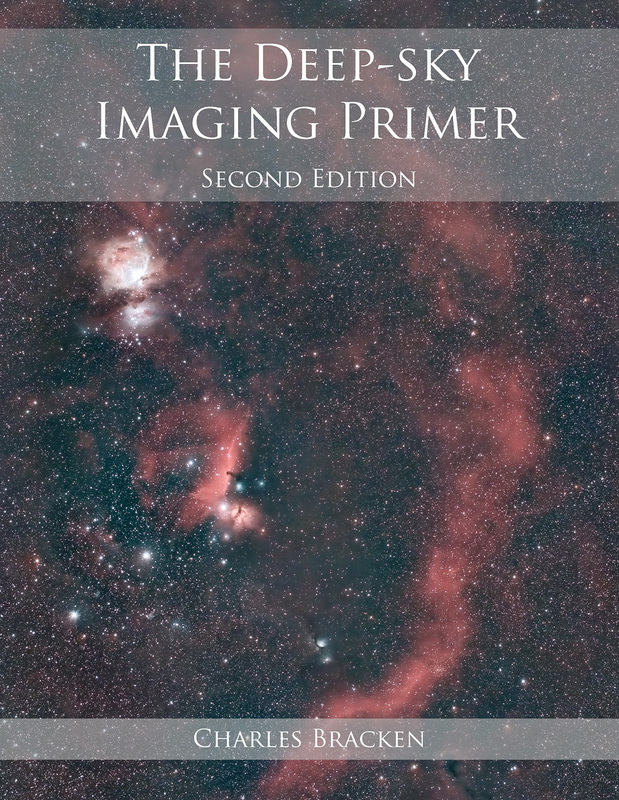 The Astrophotography Planner is published! I’m happy to announce that my latest book is now available. This one started out as my personal almanac to help plan when different objects were best positioned in the sky. I’ve expanded upon that to create a full book with maps and complete details for 76 of the most popular imaging targets. Producing great deep-sky images requires many hours of exposure time. Knowing when an object is optimally placed in the sky is critical to gathering the best data. 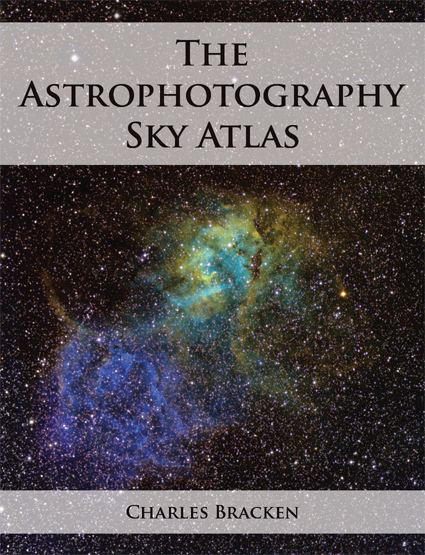 This book features charts and maps for 76 of the best deep-sky objects visible from the northern hemisphere. The charts show how many quality imaging hours you can expect for each on any given date, as well as where it will be positioned. Maps are provided to help you decide how to frame each object, and field of view templates are provided for common sensors and focal lengths. Detailed information about the moon is included for 2019 and 2020. In short, The Astrophotography Planner will help you make the most of every clear night to produce the best deep-sky images possible. A sample page is posted below. There are 76 areas of the sky covered exactly like this in the book. Instead of simple rise and set times, it shows when the object is at least 15º above the horizon and the sky is dark. Separate lines are plotted for those at 30º, 40º, and 50º latitude. Hi Charles, Bob Miller here. I have both of your other books. I have gotten so much out of them!! And yes, I will be ordering this book as well. I’m still using a DSLR and just had it modified for H alpha and will use it for the first time this next new moon. My first target will be the cone Nebula. Can’t wait!! Want to learn more about astrophotography? Then this is the book for you! Click here for more information. Want to find the best imaging targets? The atlas designed for astrophotography! Click here to learn more. Want to know when is the best time to image them? A complete annual planner and almanac for the astrophotographer. Click here to learn more.